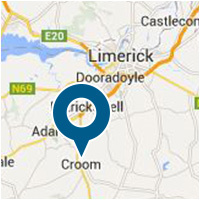 Quality Assurance, Certified Product Integrity and trust underly every activity at Croom Precision Medical. Croom Precision has a 20 year track record of delivering medical implants, components and instruments which adhere to the latest FDA compliance standards. We are an accredited medical implant manufacturer with proven quality, process and certification capabilities to our leading OEM customers. Croom Precision Medical provides full certification on all manufactured medical implants and implant components in accordance with each customer's specification and requirements. This includes a certificate of conformance and inspection reports based on sampling tolerances or 100% inspection. All final inspections are completed by independent quality control technicians in an environmentally controlled laboratory using fully calibrated equipment. Inspections cover surface roughness, hardness and toughness against detailed product specification sheets.